Rationalist Judaism: Who Else Should Help Desperate Kollel Families? There are all kinds of charity campaigns for kollel families in desperate financial distress. Letters and appeals are sent out to Jews across the spectrum. But there's one group of Jews that doesn't seem to be asked to help these families. "Rabbosay, there's a very serious poverty problem with countless kollel families. In response, there are many families around the world that contribute funds. This mitzvah, of helping people in need, is not one that only takes place when they give their credit card number. Rather, it's a mitzvah that they prepare for all the time, when they are working to earn the money that enables them to help those that need it. "Rabbosay, we need more people to participate in this mitzvah. Specifically, we need YOU. For the existing donors, while they have a mitzvah to give tzedakah, they can choose to help your families, or they can choose to give to other causes. But for you, it's a mitzvah to help your families specifically. Each of you has a responsibility to help your own families with their basic needs. That responsibility, as delineated in the kesubah, is fulfilled by working. As Chazal say, it is better for a person to engage in even a lowly trade rather than casting themselves on others for support. "Now, it's not easy to find work, especially for people who lack training and experience. But there are organizations which will help you do so, or which will provide you with the opportunity and means to pursue a job training program. There is Keren Kemach, there is Mafteach, there is Lemaan Achai, there are more. "Leaving kollel is a very hard decision to make. But if one's family is not getting their needs met, then it's a straightforward requirement. And it's also crucial to think about your childrens' futures. If each of the families that we help has an average of eight children, who are being raised to follow the same path, and an average of at least six out of eight of these children will actually do so, then the problem will be at least six times worse in the next generation. What are we going to do about that?" I showed this letter to some charitable friends who give money to help desperate people in kollel, and asked them what they thought about it. One said that it's not his place to tell people what to do with their lives, it's only his role to help them in difficult times. Another said that it's just futile. Maybe they are right. But personally I think that it's everyone's responsibility to do what they can to motivate people to make the right decisions in life, especially when their bad choices are harming other people. And when you're giving people money, you have the chance to get their attention. Furthermore, I think that there's even a strong case for saying that those who decide to make the right choice and take on their responsibilities will receive more financial aid. Perhaps even for saying that those who point-blank refuse to do anything themselves will not receive any aid beyond food coupons. Certainly Chazal and the Rishonim had a very dim view of people who see no reason to support themselves and not to live off charity. Did They Teach You This In Yeshivah? Is It Better To Be Supported In Kollel Or To Work? What's Wrong If Someone Wants To Support People In Kollel? You'd have to change the mindset in high schools in order to make this a permanent change. Individuals in kollel eventually realize that they have to work (more so outside of Israel), but they don't have the necessary skills because they didn't learn anything like that in school (and heaven forbid they go to college or anything like that). Telling someone who's currently in kollel that they have to work won't have any effect. They'll either say "I know but I'd rather learn while I can" or indulge in the fantasy that they'll be able to learn forever. Ideally we'd have a system where only the brightest and most dedicated go to kollel, and only with the goal of eventually giving back by becoming teachers or rabbis. In the meantime, the average kollel guy is told by the yeshiva system that going to kollel is the most important part of life. Your intent is good, but it probably won't do much without a value shift. "Ideally we'd have a system where only the brightest and most dedicated go to kollel, and only with the goal of eventually giving back by becoming teachers or rabbis." And how exactly do you select them? By making them pass IQ tests? It's absurd, real intelligence and skill cannot be tested. By asking Roshei Yeshiva to choose? That way you're for sure in for a corrupt system of self-perpetuating dynasties. Why should anyone select them? Historically, you learned if a) you had support, or b) you were super-dedicated (like Hillel) and did whatever you had to for a chance to learn. If you don't fall into one of those categories, perhaps you won't become a Gadol. But, it seems to me that none of the Gedolim of this or previous generations were the product of the current system. Somehow, we've managed. You can make them take tests on what they've learned, or you can simply say that anyone who isn't truly dedicated won't receive support. It'll cut down on some of the benchwarmers. It's obviously not a simple solution and it won't work without everyone (especially the big donors) being on board, but it's better than forcing people to go to kollel or risk not getting married, etc., and it'll force people to actually support their families. Maybe high schools will do their jobs then instead of making their students rely on daddy's money. But most avrechei kollel do have support, and do what they have to to become gedolim, which is sit and learn and have lesser gashmius standards. To me it seems that virtually all gedolim of this generation were at one point avrechei kollel. My point is not to defend the current system, and I agree we need less full-time avreichim and more working people. I'm just genuinely trying to understand how people here seem to envision an easy way out, while to me, it looks a lot more complicated. Who can give them tests on what they've learned if not Roshei Yeshiva? How do you decide who is truly dedicated? You think the kollelim keep paying not dedicated people and so-called "benchwarmers"? I can assure you there is less job security in that sector than in whichever one employs you, not meaning to offend. If you have a limited number of scholarships, then institutions will fight to recruit the best students. and have lesser gashmius standards. Like Shlomo Hamelech? Or Raban Gamliel? Or Rebbi? You are confusing asceticism for holiness or learning ability. To be a true Gadol, you need above-average intelligence and the desire to use it. Most avreichim, being average people, have average intelligence and average motivation. Starving them won't make them Gedolim. JW: It would likely have to be centralized to some degree. Naturally there would be corruption, but there already is: think about how many roshei yeshiva are related to the previous roshei yeshiva. There is definitely no easy path out, and I'm not sure it'll change unless there's some major shift in how welfare/donor money gets distributed. I'm not sure what your point is about job security, but not many kollelim that I am aware of actually test the avreichim, and it is relatively easy to "fake it" for a few years until the real world intrudes. Even if someone is kicked out after a few months, that's wasted time that they could've used to support their family, and they're starting at a disadvantage because they likely weren't given the skills that they actually need to support a family. DO: Your idea would likely work, but it would require cooperation on a scale that is near impossible, given the egos of those who run yeshivas and the people who think that their sons are the best. Tax money pays for welfare, a decent amount of which in NY and NJ goes to people in kollel (take a look at the poverty rates in certain charedi communities when you have a chance). I don't care if they spend their own money, but I do get annoyed when they spend mine if I didn't specifically give it to them. They already do, but the question was: how do you select the really best students, in a system that doesn't give the others any chance? It has to be very carefully pondered if we don't want future religious, educational and halakhic leaders to be selected for wrong reasons. You completely misunderstood. I wasn't speaking about ascetism, let alone holiness. I was just saying they're ready to live with less money than average people, which is necessary if you want to spend time not working. Like I said before, that corruption would be aggravated by the fact that other people are not even given a chance. Sorry, but I find it very strange that knowing this, you still are more concerned with the few fakers here and there. There will always be some everywhere. But let them have what they deserve! "Near impossible, given the egos etc...": indeed, this has been a problem for hundreds of years, see Maharal, Netivot Olam (Jerusalem, 1980) 25-6. That's why any solution giver has to take this in mind. JW: Everyone would have a chance. That's the point of having a centralized system: anyone interested in the kollel route would know that they need to study and work hard to have a shot. They would have to take tests and apply through a standard process that would hopefully minimize corruption. The premise here is that kollel is not required or strictly encouraged by Judaism, so it's no big loss if most people can't take that route. Obviously there would need to be fewer kollelim in order to make sure that only the most qualified students are accepted. There's no kind of transparency in how donations result in better treatment (but we all know it's there) so there would need to be a push for that transparency as well. All that being said, this is no more than a pipe dream, as there is no real incentive for the current kollel members and rabbanim to make this transition. My focus on the fakers is due to the simple fact that many people are quick to say that anyone in kollel is holy and worthy of admiration. Nobody really talks about the fakers, and they're really just a symptom of the problem: forcing people to go to kollel or be ostracized. 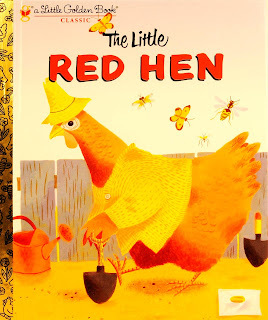 Can Red Hen's really hold shovels in their "hands"? Is this another imagined Artscroll creation? What about Rabbi Akiva before he became Rabbi Akiva? What percentage of the untold thousands of kollel people over the last five decades became Rabbi Akivas? Rabbi Slifkin is not advocating that there be zero kollel people. He is advocating for a much more reasonable amount. Imagine if the bottom 80% of the people currently in kollel went to work, and used a small portion of their wages to help support the remaining 20%. It would be VASTLY better for all of them. But at that point he wasn't Rabbi Akiva. He was just Akiva. Once again, how do you select the 20%? What's the evidence Rabbi Akiva was given the go-ahead based on judging his potential? His wife moicheled him having to work. "His wife moicheled him having to work"
Yes she did. Without societal pressure to do so. By the way, can anybody think of a tanna or amora who *did* work? By the way, can anybody think of a tanna or amora who *did* work? Most of them worked. And of those who were just students, most only went to learn during the Yarchei Kallah (the easy months), which were the months when less work was needed in the fields, and they could be spared. I imagine that the 20% would emerge organically once you remove the rule that everyone must sit and "learn". I have a very simple view. I won't value a man's family more than he does. If he's not going to work to sustain them, neither will I. Unfortunately, the only way that this can ever get off the ground is if the gedolim, whom these families base their life decisions on, are the ones publicizing it. Yet others send $100,000,000 spacecraft to the moon. Still others spend billions on theme parks and entertainment.....it helps to see things in perspective I suppose. Your comment is silly and incoherent as usual. That said, it may be worth responding to the one coherent point: the comparison to scientific research fellowships. The obvious answer of course is that such people produce knowledge and innovation that is useful to the rest of us, or at least to the scientific community. Contrast that to most kollel yungeleit, who neither produce respectable chiddushei Torah nor useful piskei halacha. What they do do (mostly) os a lot closer to the foolish demands of the apikorsim who ask "מאי אהני לן רבנן? כלום התירו לנו את העורב..."
Except most professions work in the supply and demand model. People only take the jobs that can actually support them and their families and at a certain point, when the market is saturated, there are no further positions. Kollels are not at all like that, and the people typically live in poverty off welfare and charity. So...you just want to ignore the part of the kesubah that says that a man is obligated to support his wife? What about the pasuk that says "six days you shall work"? There's value in each of the things you mentioned. The difference is that not everyone is forced into it and none of the other examples contradict a basic tenet of our religion. For once you definitely have a point. No, it shouldn't be such a big deal. The real problem, in my opinion, is the arrogance with which the kollel system constantly asks for more money from people whose lifestyle they despise, without intending on benefiting them in any way. I used to hear that "defense" made with Albert Einstein. "Princeton pays him to essentially sit and learn. Therefore, orthodox Jews should also subsidize nine thousand guys sitting in Lakewood." You don't have to be Einstein to see the problems with that logic. For one, Einstein worked as a patent clerk. I am not familiar with his entire work history, but he was clearly not beyond taking relatively menial jobs when he had to. But they're not living on menial salaries, they have long term earnings prospects. The only prospects these kollelniks have is marrying a RY's daughter. Oh, sorry, they missed that ⛵ boat. There's a family in Riverdale that is opening another multi billion dollars theme park in a few months. They're known for giving millions to yeshivot. Maybe A they want to give and or B they should be approached with this post. There is a fascinating article by R. Shmuel Polchak discussing a government program to withold benefits if a participant did not take advantage of a serious job-placement program. He decides that there is still a halachic requirement to provide צדקה to such a person. But I think he has missed a main point. Given that the best form of Tzedaka is providing someone with the means to support themselves, then if such a person rejects a job, then they have effectively rejected the צדקה that you wanted to give them. Thus you would no longer be obligated to give them צדקה in a different form once they rejected your original צדקה. I agree that it is futile, but for a completely different reason. You really want the system to change? Abolish the draft. Once the legal barriers to working are removed, watch hordes of kollel guys leave kollel and join the work force. Until that happens, the conversation is pointless. ...or national service for conscientious objectors? They're already exempt after receiving a deferral for a number of years. Why don't more of them work after that? ...which just means they don't really want to be in yeshivah, and are staying there only to avoid said draft. And all the claims of the holiness of learning, mesirus nefesh towards it, the protection it affords, etc, are all hollow. Which a lot of people know (tho plenty of *tumim* and BT don't) and find such religious gamesmanship distasteful. And just because other political parties preach empty slogans they don't really believe in, doesn't mean religious parties can do the same. Religious parties are and must be held to a higher standard. Actually, not too long ago all those above 22 were officially granted an exemption from the draft, and the Kollels did not empty out at all. So you're off the mark. I think that someone who decides to just learn Torah and not to work, and to support himself from charity, has made a Chillul Hashem. He's brought the Torah and Judaism into contempt. There's no good future for such a person, neither in this world nor the next. I wonder what other people here think about your comment. I, for one, think it's the Rambam's stand, almost word for word. But it all depends on what you call charity, since in our days you find people willing to help the kollel system. Is this called relying on charity? Most avrechei kollel don't decide to support themselves from charity, but from a financial mix in which there is the work they do on the side, their wife's, and the salary that their kollel is willing to give them in order to have them in. The halachah does not follow this Moshe M. It is the counsel of the yetzer hora to talk that way. Precisely why I am campaigning for Kahol V'Lavan. The Haredim need to be forced to learn English and mathematics in school so they will have employable skills and won't have to steal my money to survive. you dont need to post this but this is just a repeat of ten other articles you wrote. Is this one different cause you wrote a letter? Yes. But it's not touted as the ultimate way of life for a generation with no end. And when poverty strikes those people go get real jobs rather than carry on. When I got married, my wife promised to get a job and I would learn in collel for a few years. After our first son was born, and she hadn't kept her end of the bargain, and we were struggling. She wanted me to get a job. I spoke with the rosh collel who told me that she needed an attitude adjustment. My wife pointed out what it said in the ketuba. I was the one obligated to provide parnassa, not her. So I got a job. Unfortunately they cancelled my draft twice, even though I was working! She gave birth to your child and wanted to more fully care for your offspring instead of farming it out to someone else... but yet she was the one who wasn't "holding up her end of the bargain" and "needed an attitude adjustment." I know my comment here won't make any difference but this attitude shows how awful the situation of haredi women is and no one cares. MOs and RZs get all upset about haredi publications with no pictures of women in them, but haredi society effectively turns women into slaves to support kollelim (yes at a cost also to the children) and no one bats an eyelid. So what do you think is a bigger stain on Religious Zionism - Rabbi Druckman, or the existence of Kollel in almost every single RZ Yeshiva? Don't you think you ought to write a letter to all the RZ Rashei Yeshiva, excoriating them for perpetuating this Chillul Hashem? Don't you think you ought to call for a halt of all funding of RZ Yeshivot until they rid themselves of the Haredi scourge of Kollel? A housewife and a cat, the housewife doesn’t want the mouse to begin with. The cat wants the mouse so it can chase it. What percentage of people in kollel become gedolim? How many of these gedolim became gedolim because they were born with superior intellect above the rest in contrast with those that became gedolim only out of hard work? How many of those gedolim have made a significant contribution to the Jewish world? What percentage of kollel members who don't become gedolim become teachers, and do we even need that amount of teachers? I think that based on all these questions, the full-time kollel system needs to shrink considerably. Post high school there should be a filtering process of which a fraction of the class goes on to learn more, and then after that an even smaller fraction should go on to keep learning. The doors should be closed (for full-time kollel) on students who have not shown the intellectual capacity to become beneficial to educate the Jewish world, and should develop a trade of some sort. Never mind the once in a million example of the Netziv who was doing poorly but changed his ways. The vast majority of Jews are simply not going to be the Netziv. How many -- Michtav miEliezer says better 999 fail, to produce one gadol. And that is gospel by the (litvish) yeshiva world. 2. Teachers: How many of those teachers have real pedagogical skills, instead of just knowing the material, is hired cause the yeshiva owes him something, might be good in kita Aleph, but the opening is in Kita Tet? “ "Ideally we'd have a system where only the brightest and most dedicated go to kollel, and only with the goal of eventually giving back by becoming teachers or rabbis." JW: all institutions of higher learning in other fields have figured it out. Medical schools, law schools, PhD programs in hundreds in of disciplines, and yes Rabbinical Schools all have entrance standards intended to be selective of the best candidates who are most likely to be able to handle and excel in the curriculum. Nobody has to reinvent the wheel here. It wouldn’t take a brain surgeon, a rocket scientist, or a Gadol HaDor to implement a similar system in the Kollel world. It will only require a desire to really have the best and brightest. The lack of standards is itself an invitation to those who lack the desired qualifications to enter despite that fact. Oh - and for those who asked about R. Akiva - there is also a model in from the secular world - non-subsidized preparatory classes, prerequisite requirements. Those who wish to become R. Akiva can still prove their mettle and build the necessary foundations while working. Or if they choose to forego working and also forego having children who would live off the public dime and instead choose to live a life of asceticism - that is a life choice as well. The models are out there. Who is wise? The one that learns from all others. "It wouldn’t take a brain surgeon, a rocket scientist, or a Gadol HaDor to implement a similar system in the Kollel world. It will only require a desire to really have the best and brightest." Except we're not speaking about any definite crriculum (like you pointed out, those who do already have their own standards, even in the Torah field), but about the broad spectrum of Torah learning. Different aspects of it require different skills, and most kollels do, albeit roughly, already select their students based on this. The fact is most people have at least one area where they excel. I'm not saying this to justify the current system, I just would like to find a REAL solution to end it in the best of ways. "The lack of standards is itself an invitation to those who lack the desired qualifications to enter despite that fact." The current problem playing out in the news is not about the lack standards - it’s that some extremely wealthy people feel entitled and attempt to (and sometimes succeed) circumvent the system by giving bribes for the opportunity to enter certain institutions. Halevai there should be such problems of wealthy kollel members “bribing” their way in by paying $70Mil for a new center of Kollel studies. Are there problems with the secular system? Sure, likely no system is perfect, but the issue that RNS is discussing is that there Just is not enough money to support poor Kollel members who DON’T have the means to support themselves. We’re not at the point of being concerned that the Kollel is letting in too many rich people who want to learn and support the others. If only we had such tzurus. RABBOSAY, Isn't the hypocrisy of this man very obvious? Who is he to tirelessly lecture others about their vocations? Doesn't he spend all his days titillating himself in his nerdy little zoo, to which he has zero qualms about campaigning others to donate their money- that he's supposedly so concerned for. Why doesnt he contribute to the economy of supply and demand? And Rabosay, isn't the rest of his time, spent in keyboard warrior mode, attacking anybody who might be affiliated with anybody who pricked his precious ego? RABBOSAY, isn't it time we called on this man to do more productive things rather then obsessively do all he can to sow discord in Klal yisroel? I agree with you that too much of this blog is focused on denigrating others, as opposed to focusing on actual rationalist Judaism. It seems like the same stuff cycling itself over and over. RNS if you're reading this, it would behoove you to start putting up some more intellectually stimulating material. Nevertheless, there are not enough people in the Jewish orthodox world pointing out the issues in the charedi movement, at least not in a public manner. RNS is a suitable person to do so as he belongs/belonged to that hashkafa and his voice will be better heard than others. The amount of money that he campaigns for his zoo is a fraction of a fraction of the overall campaigning of kollelim worldwide, and he is in now way trying to convince people that what he does is part of normative Judaism. Furthermore, he is not advocating that no funding should be sent to kollelim, but rather that it should be done on a smaller scale. Lastly, he does not describe people in kollel with subjective terms such as "nerdy". The Biblical Museum of Natural History is an educational institution that provides a service to the nation. So far, we've inspired and educated about fifty thousand people, and we are looking forward to reaching hundreds of thousands more when we scale up our operation in our new building. You use the word mysticism inaccurately. The "New Atheists" use it to refer to anything nonratianalistic indeed relgion altogether, because it doesn't feel any need to be learned concerning relgion. One can be nonrationalistic and not mystical too. I live in America, where my tax money goes to welfare programs that kollel families use. So by your own admission, I guess it is my problem, so I don't have to stay out of it. It's not "minuscule" when that large kollel population lives in the same few neighborhoods, causes traffic to explode and ruins the quality of life, and starts affecting the lives of the non-kollel people. Take a look at what's happening in Monsey and Lakewood. The damage is not just monetary. Besides, you haven't addressed the issue that my tax money does go to support long-term learning, which does make it my problem. I agree that there are too many people on welfare, but right now I'm talking about the percentage of the population that is most clearly affecting me and the one I know the most about. Do yourself a favour and do a word search on this post of how many times the word "charedi" comes up. It does not come up in RNS's article once and barely comes up in any of the posts so far. "Kollel" is not a charedi-specific word, and this issue applies to charedi people as well as non-charedi people. It just so happens that this issue may be more prevalent in the charedi world. Instead of playing the victim card, try promoting some form of benefit to the issues being discussed. Furthermore, some of the comments made here are from people who are from the kollel background, and are in fact focusing on their own Judaism and how it can be improved. Short answer could be Kol Yisrael Areivim, no? Larger answer is that when someone else's Judaism affects the living standards of everyone around them negatively, then something needs to be reevaluated. At least have the problems acknowledged, even if different attitudes will be apparent in the potential solutions. Same hatefest going on in the UN over Israel going on over here regarding chareidim. Never underestimate the effects of your actions. Who knows if the wicked people at the UN aren't acting as they are, corresponding to the hate going on over here. I agree. The superficial and poorly thought-out comparison of your comment definitely parallel the moronic statements shared at UN assemblies. I think you misinterpreted R. Moshe's teshuva. He was addressing whether it is better for a person to earn a living by working and attempt to be a talmid chacham in the time remaining after work or accepting a salary for learning Torah, which the Rambam extols and the highest form of pursuing ruchnios and Torah. R Moshe is not speaking of failing to provide basic living needs for his family. He is merely discussing how this is to be achieved, by taking money from Torah supporters or by working. The assumption is that the money offered for learning is enough to cover basic living expenses. He did not say that one should neglect his family and live in abject poverty and refuse to work if needed. Of course the obligation to support one's family is paramount, and as stated in the kesubah, it is the husbands responsibility to provide for the sustenance of the family. The entire point of this post was that not everyone in kollel should be there, and the logical next step is that not all those people are talmidei chachamim. True talmidei chachamim deserve respect. Someone learning in kollel because he has no options or because of societal pressure does not necessarily fit that criterion. Exactly. We're biting freeloaders and tax dodgers and draft dodgers. Ain't got nothing but respect for Talmidei Chachamim. Draft resistors. The military doesn't need the Charedim and doesn't even need a draft. Israel hasn't been attacked by another nation in 50 years and even that war was avoidable. So let's stop with the name calling and try to talk a little logic. Israel might not need the charedim to serve, but that doesn't mean they should be exempt from some sort of service, and it doesn't give them the right to disparage the people who do serve. Also, the nature of war has changed over the past couple of decades. Just because Israel hasn't fought a "war" doesn't mean they're not under attack or that they don't need to be able to respond if necessary. Does any charedi institution say a Mi sheBerach for our soldiers? No, they have contempt for them. Charedim don't have contempt for soldiers per se. They don't like sinners and most soldiers are Shabbos violators. And going through the hell that is the abusive Israeli army, many of them aren't the most pleasant of people. But most of all Charedim resent the constant threat of the draft and the soldiers represent that. So it's the army coming after the Charedim, not the reverse. Now it's interesting that it bothers you so much that someone would have contempt for a soldier. For after all, aren't the soldiers your god that believe protects you? Why else would it trouble you so much? Zionism is the cause of the problem. Draft exemption requires that a man not work and have never worked even one day in his life. And since the army is an abusive training ground in anti-religious sentiment, Charedim cannot be part of it. So they must go to Kollel. The government of Israel will not let Charedi men earn a living! Yes! Zionism is the problem! If there were no State of Israel, there would not have been a deal for Ben-Gurion to make with the Chazon Ish, and whatever institutions that could be supported and flourish in Mandatory Palestine would have had to struggle to survive. It is so unfortunate that the State of Israel exists that we ended up with thousands of kollelnickim. Do I have to add the /sarcasm tag? If we took the 1/4 of a trillion dollars the US gov. has spent on the Mistake of Israel and the billions upon billions of dollars in donations that have come from baal habatim over the decades and spent just a fraction of it on Torah, we'd have far more Torah learning than anything that has resulted from the meager contributions of the Israeli gov. The Mistake of Israel has been the most colossal waste of money, energy, political capital, zchus, and lives. The Satmar Rebbe was rescued by Rudolph Kastner a Zionist representative of the Jewish Agency. If the Zionist are as evil as you claim - God could have saved the Rebbe in many other ways. Kastner refused to save anyone but Zionists. Then he had a dream one night where his deceased religious mother came to him and told him to save the Rebbe specifically. So if you want to talk facts, then let's talk facts. Are you trying to show us that you can't argue logically and don't consider facts? You just talk in emotional tirades. Kastner didn't want to save the Rebbe, but I talked about that in a different comment. But even if he did, how is bringing that a response to my comment about the colossal waste of energy and money that has been the Mistake of Israel? Oh I know, if you just say anything and say it with a snarl then it doesn't matter if you are on point, rationale, factual, sensible. You just keep shooting off your mouth and you must be right. That's what Zionism is all about. Just keep talking and it all becomes right. The Satmar Rebbe told his followers NOT to go to Israel. Yet, when the time came for him to escape, he left his thousands of followers to die in the gas chambers and he escaped to Israel! See the irony in that?! Now contrast that to Rav Elchanan Waserman HY'D who came to America yet went back to Europe to die with his followers. Evil means to cause one's followers to die because of an extreme radical veiw. Some anecdote about a dream is "facts"? Fact is he paid a bribe to get on the train, while those who couldn't stayed behind and perished. He didn't have the decency to testify later on Kastner's behalf or even say thank you. Also the U.S. didn't give a cent of aid to Israel until JFK and they continue to do so because it's a strategic military partnership benefitting both parties. Good Shabbos. Plenty of charedim on the train. How many are not "kafuy tovah"? Of the charedim, most. Um. Exactly how does what you do at your "musuem", "transform society"? It educates people. Often those who need it more than others. Oh.. "It educates people", you say... It's an "educational institution that provides a service to the nation. ", you claim. Um. Doesnt slifkin constanly claim (in direct contradiction to 1000's of chazal,) that learning or "education" for its own purpose is valueless? ergo, by extension what value to society does the educator provide? I'd understand if one teaches a skill or a trade by which one can earn a living, but I fail to see how-according to slifkins own definitions, he provides any aid to society in his droning on about his dinosaur bones, and the like. You cant have it both ways. Like I said.. Hypocrite. "Doesnt slifkin constanly claim (in direct contradiction to 1000's of chazal,) that learning or "education" for its own purpose is valueless?" Ultimately, LW, your comparison is based on a flawed premise. It is not that kollels want donations and the Biblical Museum wants donations so supporters of the latter are hypocrites if they want to decry the former. It is the whole lifestyle, the whole weight of the kollel oilam that is the problem. A rabbinical seminary that trains people for a defined period of time in order to teach or be pulpit rabbanim or even poskim would be more similar to the museum, and indeed, the supporters of this blog would be much happier with that. Museums are generally recognized the world over to be a Good Thing, and if one doesn't suit your fancy, don't go and don't support it. But nobody is teaching children as they grow up that the only career path is to be a museum tour guide or that museums are the only (or primarily) acceptable target for donations. Er, you do. You mock and deride the notion that Torah learning in itself contributes to the world in, as you would call it a "metaphysical" way. (In absolute disingenuous and brazen conflict with 1000's of chazal) Ergo, in your not so humble opinion, learning Torah is only valuable as a means to the end of contributing to the social fabric of society. And so, I don't think you're in a place to lecture others about how their time and money is used. Let's be honest, society, and peoples wallets will do just fine without your playpen. You put "learning" and "education" in the same sentence. Two different things. I think RNS would say that while the former does not benefit society, the latter does. Is the reason you put them together because it's still "education" if you are educating yourself? "You mock and deride the notion that Torah learning in itself contributes to the world in, as you would call it a "metaphysical" way." I critique it, I do not mock it. Do you recognize the difference? And correct, I follow in the rationalist tradition that it does not metaphysically contribute to the world. That does not mean that it has no value for the person doing it! It probably pales in comparison to your society-transforming comments on a blog, but hey, it's something! Those who are criticizing condemn Kollel go for it. nothing novel .Been going on for three quarters of a century.